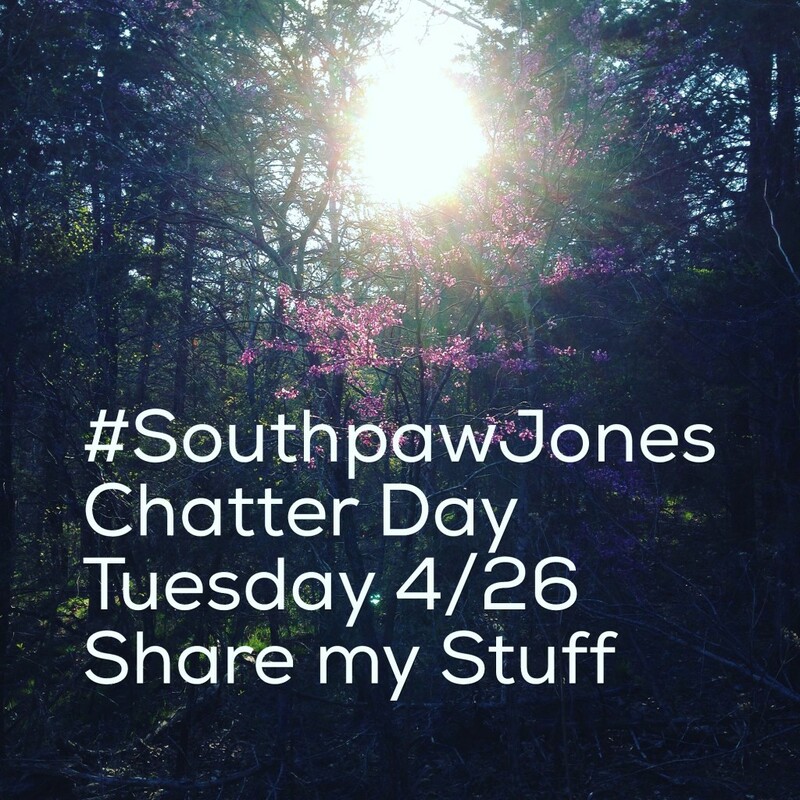 That’s right, Tuesday, April 26, is the 1st Annual Southpaw Jones Chatter Day. It began as a personal realization that I am inconsistent at best when it comes to promoting my work on social media. I decided to take one day every year, in the month of my birth, to ask myself, my audience, family, and friends to spread the electronic word about yours truly. I don’t have an album release, a big show, or an upcoming tour. What I do have is fun stuff to see, do, and share online. Sign up for the email list at the top or bottom of this page. Send everyone you know right here to southpawjones.com and let them sort it out themselves. Example text: Have you heard of Southpaw Jones? He makes up songs. Here is his site. Share a Southpaw YouTube video on your favorite social media platform(s) tagged with #southpawjones. You can find some non-YouTube videos on the video page. Share a SoundCloud song or playlist tagged with #southpawjones. Find one you like here. Share a Spotify song or playlist tagged with #southpawjones. Here is the collection. Record a cover of a Southpaw Jones song and share! Take a pic of yourself holding a Southpaw Jones CD and share! Use one of my recordings in a video and share! Record a child or pet enjoying Southpaw Jones music and share! Participating in the conversation using #southpawjones. Sharing unreleased, rare, and live recordings. Digging up old photographs to share. Taking pictures of my food. If you miss the big day, don’t fret. Feel free to do any of these things at any time. Thanks in advance for your Chatter Day chatter!